American way of dealing with Storms - shoot them ofcourse! 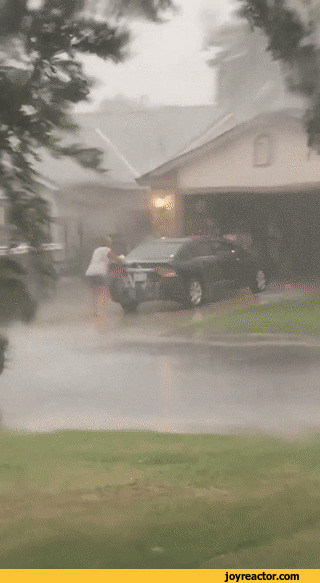 American way of dealing with Storms - shoot them bullies! I knew Americans love their guns. They will die in freak accidents but not give up the guns with justifications like "Guns do not kill people, people do". I thought I had read all freak things happening with guns - 3 year kids shooting their parents accidentally, 7 year olds killing other kids accidentally and maniacs walking into school and firing indiscriminately. This one tops it though. There are more than 50000 people in the US who like the idea of shooting a hurricane to tame it!! "It's time we took a stand against this bully!" reads the event description on facebook. "This is our home, nobody drives us out of our own territory. "Join me in this fight as we shoot flames at Hurricane Irma and dissipate her on the spot." Police have had to issue information to these illuminati telling them not to shoot into the storm. Last edited by kkkk; September 13th, 2017 at 03:57 AM. Re: American way of dealing with Storms - shoot them ofcourse! oh wow. now i have seen everything. If Irma was not so serious, this should have given rise to the gun debate. Seriously, owning a gun should be responsibility. The debate has been on for ages this side of the pond and I don't see any change in second amendment.